Directly from Italy, here’s the new S.S.C. 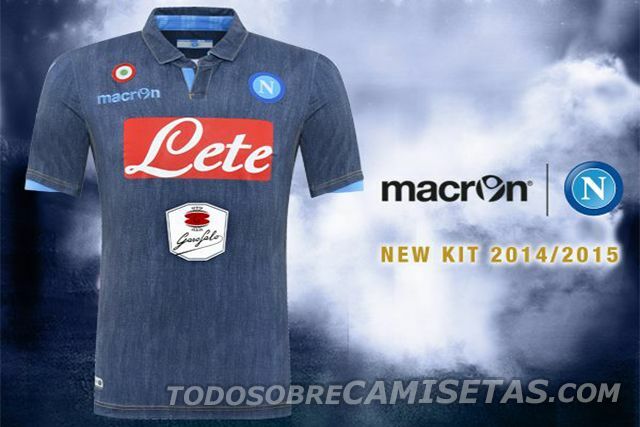 Napoli away kit, made by Macron. 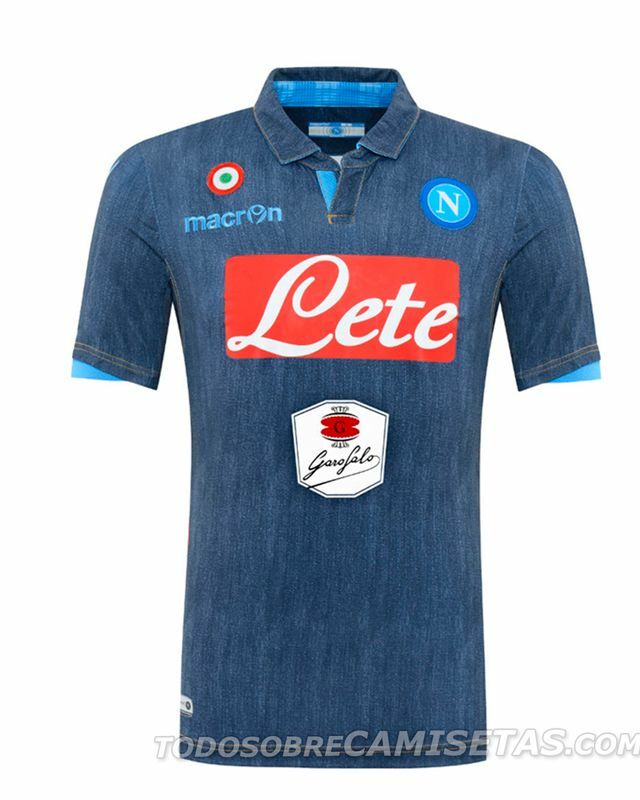 The “Azurri”, latest champion of the League Cup, will bear this curious uniform, which features an overall denim/jean look, carrying on with a concept different than usual , just like last year’s Camo jersey. 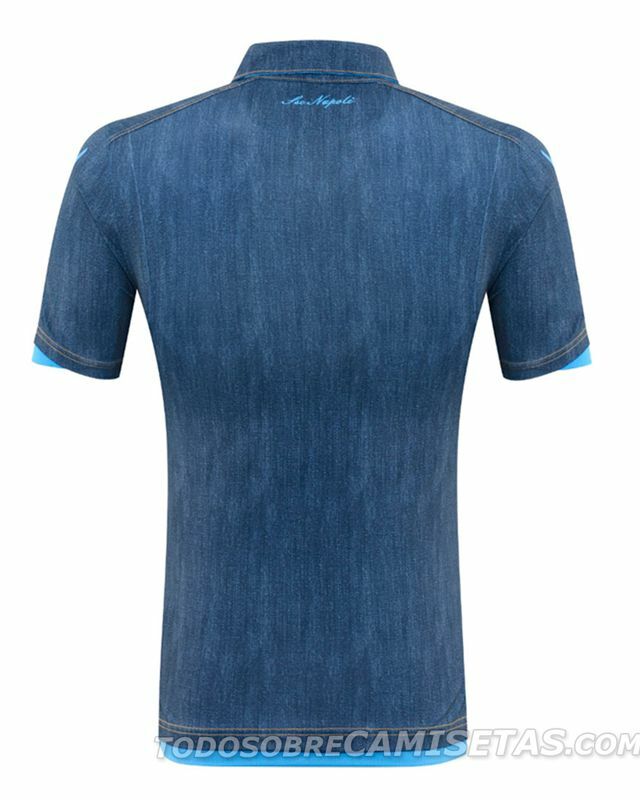 The jersey has the same template we’ve seen in both home and third kits, with the forementioned denim look being the only difference. 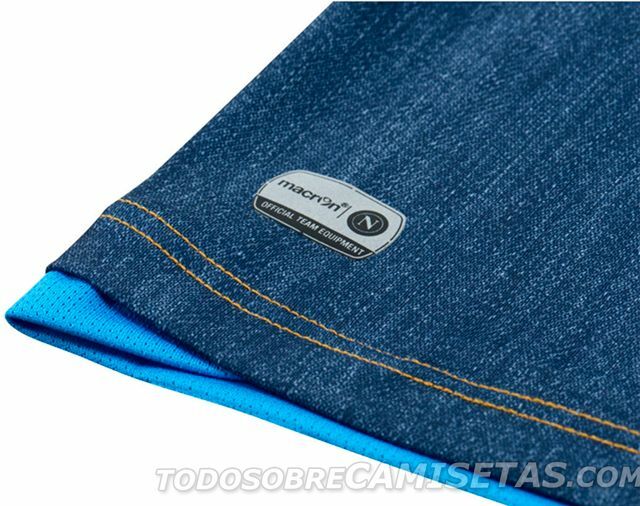 The inner collar has a squared design, and the club’s name is placed on the upper back. 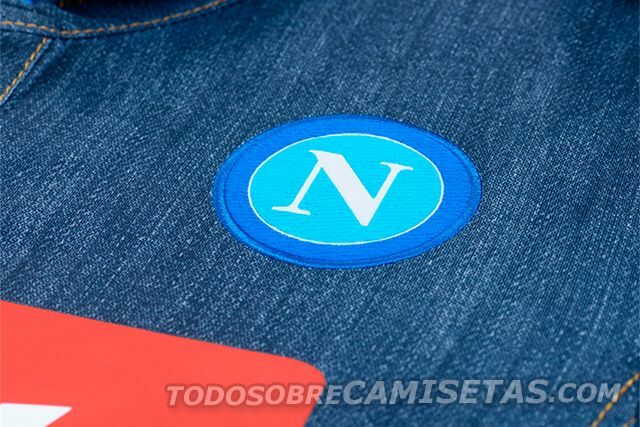 Equally denim shorts and socks complete Napoli away kit for 14/15 season. What do you think about the design? 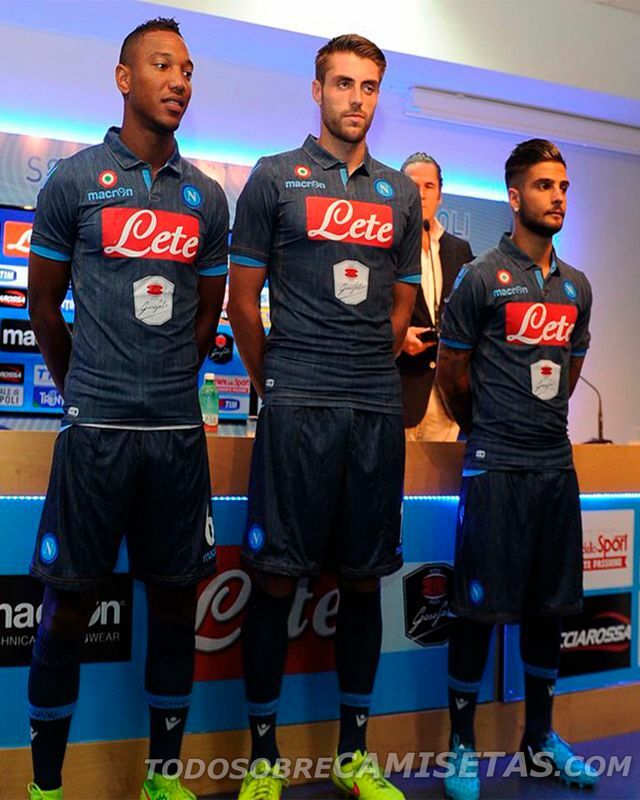 Is it better than the one we saw for OM a while ago?